64 Portables is your one-stop shop for sanitation equipment rentals like portable hand wash stations as well as waste and freshwater holding tanks. The perfect companion to porta potty rentals, adding a portable sink to your event or construction site is always a welcome idea. Holding tank rentals are popular for use with construction site office trailers and are regularly serviced by 64 Portables, so you can keep a sanitary worksite without any hassle. 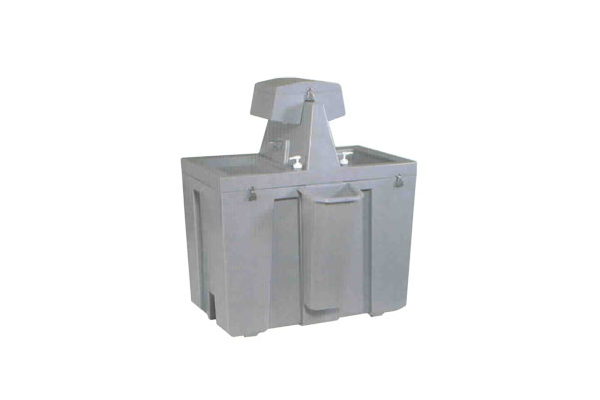 Our portable hand washing units are made from rugged polyethylene plastic and offer two washing stations with towel dispensers. 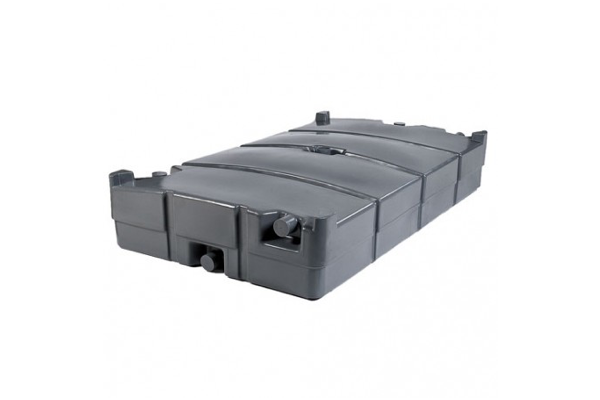 Each unit includes a trash container, a fresh water drain and a skid plate bottom. No bags or platters. Perfect for use under office trailers on job sites, our holding tanks install quickly and are built to last. Each boasts thick, heavy-duty wall construction and features recessed ports to accommodate various plumbing configurations. Tanks accept Fernco® rubber couplers and clamps and have no threaded or cemented joints. Looking for sanitation equipment rentals near you?